Change and progress are being accelerated by visual innovations, advances in social media capability and audience assessment tools. 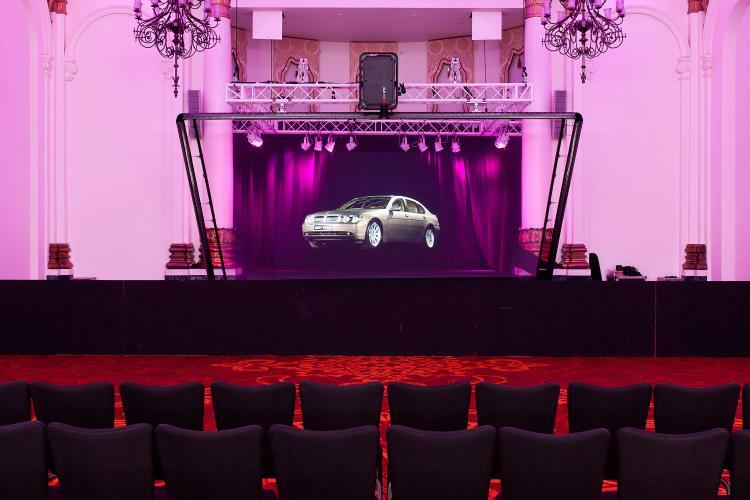 Advanced event technology in London has become a crucial factor for conferences, launches and awards ceremonies. In some cases, clients are looking to invest more of the budget in new advanced technologies, rather than the more traditional priorities such as food and event giveaways. 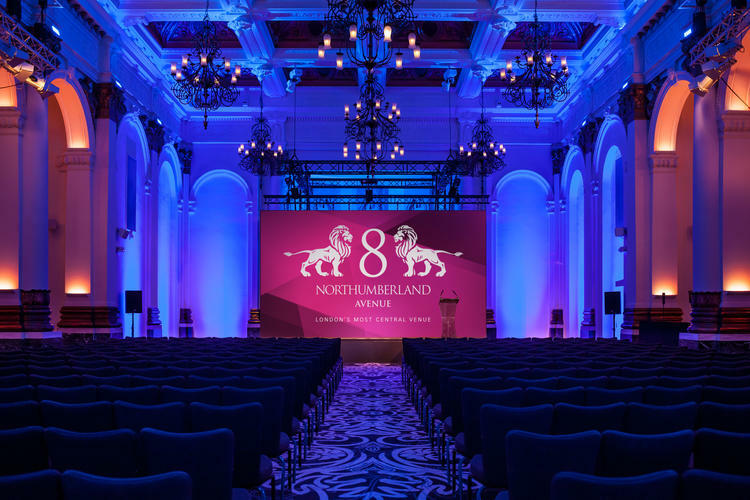 At 8 Northumberland Avenue, we specialise in event and are always seeking ways to produce inspiring visual effects and tailor them to the needs of each client. Curved LED screens are being embraced by event planners in order to provide a more engaging and immersive experience. The specially shaped screen has a wider angle and is designed to accommodate our peripheral vision. Combine this with the crystal quality of the LED element and you can provide an impressive and high-tech experience for your guests. 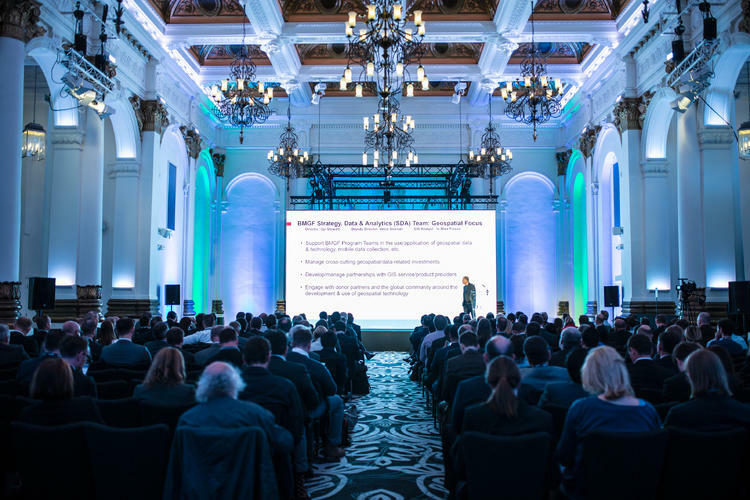 Here at 8 Northumberland Avenue, we have invested in a LED screen that can be built curved or flat and it's planned to be used for a multitude of events already. Also known as spatial augmented reality, projection mapping is used to turn objects into a surface for video images. These objects can be small indoor structures, stage backdrops, and even the side of an entire building. Specialised software spatially maps a two or three-dimensional object in a virtual programme which then imitates the actual surface that will host the content. Advertisers, artists and event planners use projection mapping to add optical illusions, additional dimensions, and suggestion of movement to otherwise static objects. It is often accompanied by audio to create an enhanced narrative. This great new technology is also now available in our Ballroom and our clients can take full advantage of it during their events. As 2018 progresses, attendees are expected to demand more live streaming of conferences and other events. Event technology in London will consequently move more in this direction, with event planners broadcasting on dedicated social media platforms. Event planners use these tools to evaluate the impact of an event and formulate ways to make a conference or ceremony even more engaging. These are indeed exciting times for event technology in London. Change and progress are being accelerated by visual innovations, advances in social media capability and audience assessment tools. This allows event planners and venues to come up with ways of improving the attendee experience. Given the rate of the technological process, remarkable developments likely await in the coming months. For more information on the technology available in the building or how we can enhance your event experience, contact our team.